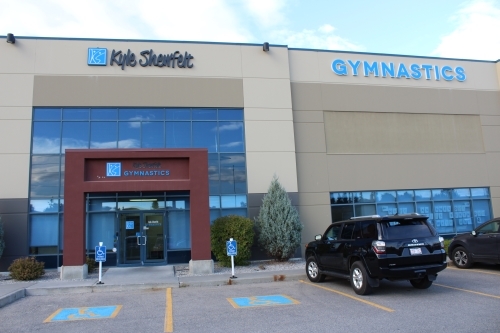 We are conveniently located in Calgary’s booming South East community of DouglasGlen, nestled in just west of the Deerfoot Inn and Casino at 104 – 3442 118th Avenue S.E. As you drive down the Deerfoot between Barlow Trail and 24th St. S.E, you just can’t miss our vibrant and inviting signs! 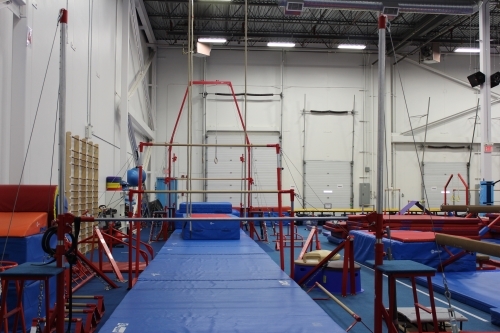 Our state of the art 11,000+ square foot facility serves up the ultimate gymnastic experience to Calgary and we are darn proud of it! We are continually adding innovative equipment pieces to our inventory so keep your eyes peeled for the latest and greatest new additions! 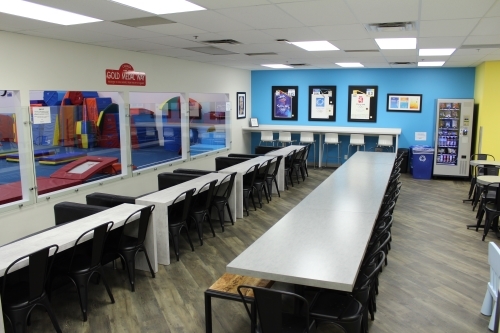 Experience excellence in our 3,000+ square foot reception area, which includes our offices, a change room, bathrooms, shoe/coat storage, multi-purpose/birthday room and our comfortable and inviting viewing lounge. 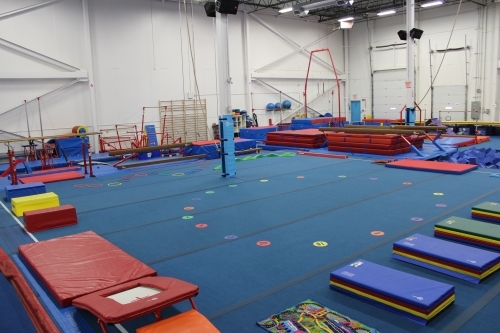 This lounge is complete with a coffee station, comfy community style seating, high table workstations and a welcoming open concept view into the gym. Take a look around and be inspired as you experience professional designer touches through out from the dynamic design duo, Kristin and Amber, from Desilets Interiors. 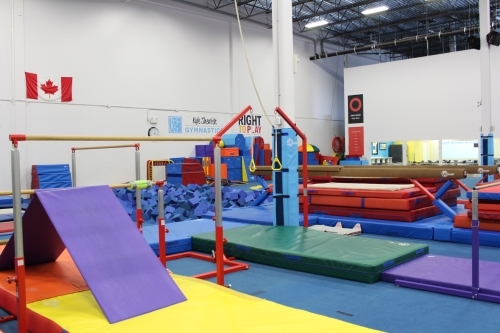 This space was carefully created with you and your child in mind. We want our home to feel warm, welcoming and inviting so that it feels like your home too. 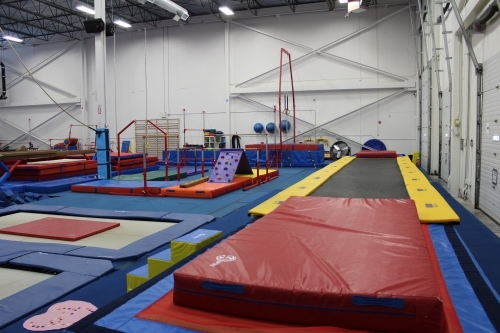 We’d love for you to stay and watch your child’s class, but if you’ve got a list of ‘things to do’ that’s a mile long, you can take advantage of our convenient location and run some errands just down the street. 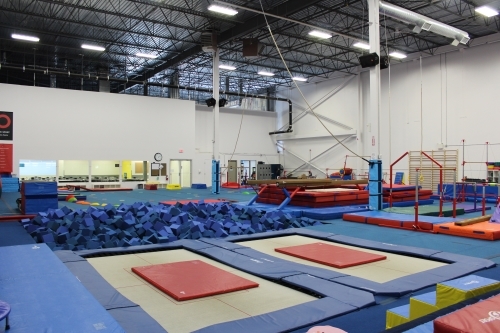 If you are craving a work out, you can take one of our adult gymnastics classes at the same time as your child’s class. If you have a question, any question what so ever, please feel free to ask one of our friendly staff. If they don’t know the answer, they’ll find someone who does. When you enter our doors, smile! Firstly because you’re happy, secondly because we have security cameras installed to protect you, your family, our staff and the facility. We kindly ask that all of our members, guests and staff follow our mandatory rule of removing their shoes if they go beyond the front reception. This is to keep our environment clean and to protect the feet and toes of our little ones. Please put all trash and recyclables into their respective bins after using our viewing lounge. 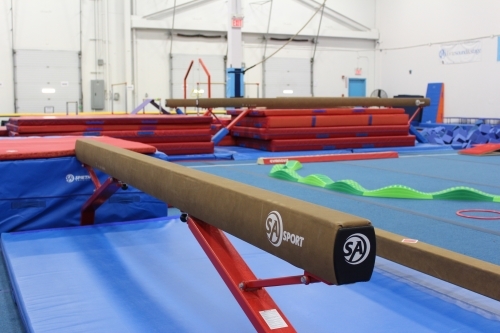 If you have an accident or spill or observe something that just doesn’t look up to our impeccable standards, please bring it to a staff member’s attention right away. 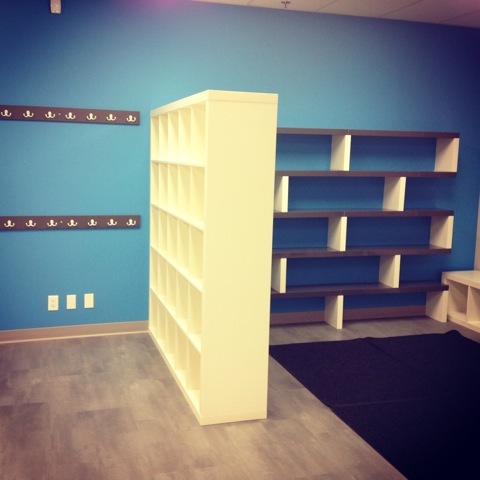 This will ensure our space can be as clean and enjoyable as possible. Please drive slowly through the parking lot. Our facility is PEANUT FREE. We look forward to meeting you and your family soon! If you have any questions in the meantime, please don’t hesitate to be in touch. Our facility is nut conscious. Please refrain from bringing snacks with nuts if at all possible.